The HIC travel law experts have been instructed by a family of 4 from Willenhall in Staffordshire following a ruined June 2017 stay at the Iberostar Ensenachos in Cuba. Speaking to our claims specialists, the Woodcock family describe their experiences at the five-star resort as diabolical and claim that they all fell ill within quick succession, suffering from illness symptoms such as stomach cramps, nausea and diarrhoea. Father of the family, Adrain Woodcock labels hygiene standards at the Cuban hotel as utterly dire â?¦ My 26-year-old son lost over a stone as a result of this illness, he comments. You could see that milk had been left out and had actually curdled; raw meat was handled with the same utensils as cooked meat, there was no hand sanitizer and barely a clean table. In our room, you could even see what looked to be sick sprayed up a wall that had not been cleaned properly from the previous occupants. In my opinion, the swimming pool also needs to be urgently addressed there were holes in the pools floor and I fear that this could lead to a serious injury, especially where children are involved. We reported all our concerns and illness to the rep but I feel that we were not listened to and simply disregarded as moaning British. None of my family have ever complained before but I feel that I must warn others of standards at this resort. Whilst we were on holiday, we became aware that others were also ill and even learned that a 4-year old was diagnosed with salmonella. Since returning to the UK, we have continued to suffer from repeat illness symptoms. It was upon their return to the UK that the stricken Staffordshire family contacted HolidayIllnessClaims and decided to pursue a claim for holiday illness in Cuba, appointing Litigation Executive Danielle Burnie on a no win no fee basis. Commenting on the case, Danielle said: I am saddened to learn of the Woodcock familys experiences at Iberostar Ensenachos. Illness should never be an added extra in your package holiday and I would always advise anyone who is unfortunate enough to fall sick abroad to report their symptoms to their tour operator and seek medical advice. Documenting any hygiene failings and exchanging contact details with other afflicted hotel guests can also prove beneficial should you wish to make a claim for compensation on your return to the UK. 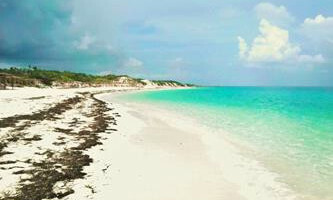 Was your Cuban holiday curtailed by illness? The specialist HIC solicitors are committed to helping you receive the compensation you deserve following outbreaks of illness abroad. If your or your family have fallen sick on a package holiday to Cuba within the last three years, you too could be eligible to make a no win no fee claim for compensation. To speak with Danielle, or any one of our dedicated team, call our helpline on 0880 01 54321. Alternatively, answer a few quick questions online and a Cuba claims specialist will be in touch shortly. For more information on what your claim may be worth, check out our compensation guidelines.